// id = jQuery id of the iframe to auto resize. // lessHeight = the amount in pixels to subtract from the browser window height when resizing the iframe. // minHeight = the minimum height of the iframe. // Register an iframe to be auto resized. // Resize the iframe with the browser window is resized. // Resize the iframe when browser page is finished loading and ready. Rater Control, Rating Control, or 5-Star Rating Control, call it what you like. Note: For anyone who would like to link to my Rater control, please link to this post and not my demo page. Thanks. Also, I will make the C# source code for the .NET control available soon. 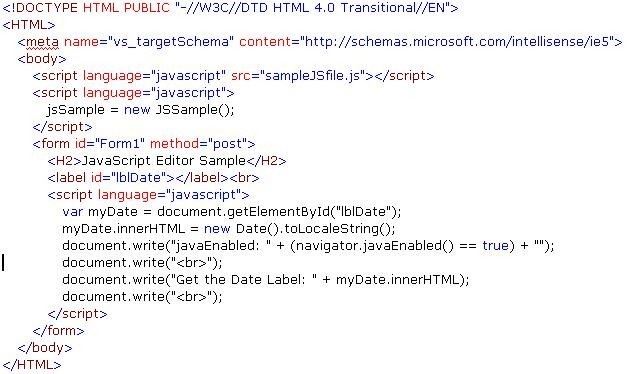 February 16, 2005 – Rewrite to use an IFRAME instead of a DIV tag. January 7, 2005 – Fixed z-Index attribute. Summary: We often need to provide a user message informing the user that their request is “processing”. Like the hour-glass mouse pointer lets the Windows user know the system is busy processing their last request, I have a simple, clean, and effect solution to providing this on web pages. Anyone who has used the Internet for more than a few hours has encountered times when the “Internet” is being slow. I use the term “Internet” in jest here since it is often the term used when websites are not responding as quickly as we would like. As most of us know, the problem is more often caused by an over-worked website, one that is unable to handle its current workload. This article does not address any performance issues as that is a much larger topic for another time. However, for those well designed and well cared-for websites there are very acceptable times when displaying a “processing” message to the user is very helpful and very appropriate. I have certainly experienced times; as I am sure you have, where after clicking a submit or search button I began to wonder if the web server was going to process my request successfully. Why shouldn’t it. I didn’t expect it to take more than a second or two. Performing functions like a search, report generation, or the processing of a large order, can often take more time than we would like. These predictably slow responding places in an application are ideal candidates for user feedback in the form of a processing message. As long as your website is not normally slow, your users will appreciate being notified of potentially long running processes. There are a number of different approaches to accomplishing this. One of the more common methods is to navigate to an intermediate page where an animated image and/or message are presented to the user. The intermediate page then immediately initiates the process of navigating to the long-processing page. This allows the intermediate “please wait” page to be displayed to the user while the long-processing target page is crunching away. When the target page completes its long process it then begins rendering to the user’s browser, thus replacing the “please wait” message. While this technique works well when navigating from page A to page B, it does not work well when a post-back (from page A to page A) is needed. Additionally, having the benefits of things like ViewState become discarded. The approach I am about to cover functions just as well during a post-back as it does when navigating from page X to page Y. Moreover, there is no need (or desire) to have an intermediate processing page. If you are using a custom base page for your application; (i.e. a MasterPage), it becomes even easier to user. I have added this to my personal CastlePage class making it very easy to use at anytime. Render the busy box message in a hidden IFRAME tag wherever we have a page that may post to a long processing page. Display the busy box message before leaving this page (or posting back to the same page) by using the onbeforeunload event on the html body tag. Note: An alternative method for browsers that do not support the onbeforeunload event is also discussed later. My animation will require a number of images that will be displayed in rapid succession. To allow the animated image to be developer-defined (customizable), I will need to know the number of images and the image names. To help manage this animation and to keep it clean, the image names must have a predicable sequence number in a predictable position. To accomplish this I have two image name requirements. The names may be anything the developer wants as long as the image name prefix and suffix are consistent for every image. The first image sequence number will be zero. The three image name properties used to define the images are ImageNamePrefix, ImageNameSuffix, and ImageCount; each of which are described below. The parameters provided in this constructor are described in the properties section. Defines the id of the IFrame tag to use with this instance of the BusyBox object. This integer value defines the number of images to use in the animation. This string value defines the name prefix of the images that are used in the animation. This string value defines the extension of the images that are used in the animation. Example: “.gif” or “.jpg” or “_ani.gif”. This integer value defines the length of time in milliseconds to display each image. This defines the width (in pixels) of the busy box IFRAME tag. Netscape and Firefix require this value to be defined. For Internet Explorer users, the width is automatically calculated using the BusyBoxDiv tag attributes. This defines the height (in pixels) of the busy box IFRAME tag. Defines the url to the page containing the custom busy box layout. If this value is omitted or null during the instantiation call, the internally defined layout is used. The RenderContent() method is used to render the internal default layout. This array contains a reference to every image in the animation. This property is populated during the constructor via the CacheImages() method. This property should be treated as read-only. This value is automatically calculated and incremented during the animation process. This value should be treated as read-only. Returns a boolean value representing the state of the animation. This should be treated as read-only. Returns a boolean value representing the visibility state for the busy box. Displays the busy box by changing its visibility from hidden to visible. Centers the busy box over the current window scroll position. The BusyBox message will be displayed only if the Enabled property is true. If the Enabled property is false, this Show method will do nothing. Hides the busy box by changing its visibility to hidden. Note: This was fixed from the previous version. This method should be treated as private. There is no need to call this method directly. The StartAnimate method should be called to start the animation process. Pre-loads the images from the server to improve the animation performance. There is no need to directly call this method since it is called by the constructor. This should be treated as private. There should be no need to call this method. Returns a reference to the document object in the IFrame using the appropriate method depending on the browser version. 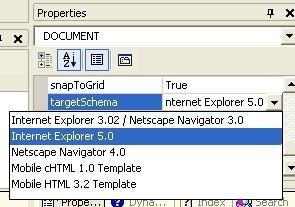 Changing the src attribute for an IFrame tag causes each new page to be added to the browsers history object. This causes undesired results for the user when they click the back button. Instead, we can use the document.location.replace() method to correctly load our busy box page into our IFrame. This method is used when the default busy box layout is used; not a custom layout. This method is called when the url argument for the constructor is null. Resizes the busy box IFrame by setting its width and height attributes to the size of its contents for Internet Explorer browers. For Netscape and Firefox, the width and height defined in the constructor are used to resize the IFrame. Help: If anyone knows how to reliably determine ths size of the contents for Netscape and Firefox, please let me know. Thanks. Centers the busy box IFrame on the page regardless of the browsers scroll position. This ensures the busy box is presented to the user in a visible location in the window. The Show method has only a few small tasks, which are 1) to determine the size of the developer-defined busy box (for IE browsers). 2) Position the busy box in the center of the users browser regardless of the scroll position. 3) To begin the animation process. The following code can be found in the CastleBusyBox.js file. Note: The actual CastleBusyBox.js file contains a brief summary of comments for each method, and has a few more helper methods. 28   // Url to the page containing the busy box. 37   if( this.BusyBoxUrl ) 38      // Load the busy box contents using a custom layout page. 41      // Load the busy box contents using the internally defined layout. 46   // even though there are a couple minor issues with using DIV tags. 78   // the back button to function as desired for the user. 102   // Resize the busy box IFrame. 112      // Set the width to the value specified. 177   // always appear in the center of the window even if the user scrolls. 206   // Hide the busy box. 223   // Set the busy box to be visible and make sure it is on top of all other controls. 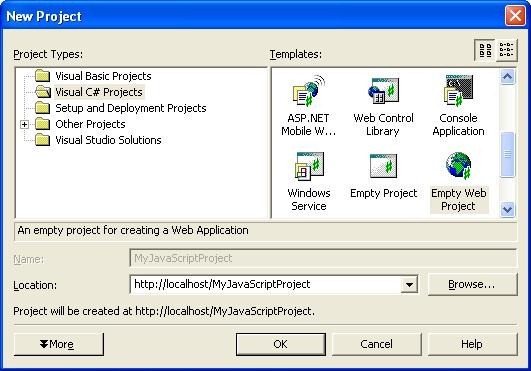 The required code in the .aspx or html page is quite small and consists of four pieces of code. Discuss how to use a SPAN tag around buttons or links instead of the onbeforeunload event of the body tag. The third html piece instantiates my BusyBox object and assigns it to my working variable named busyBox. My sample uses four images and each image is displayed for 125 milliseconds with a width of 147 and height of 206. The onbeforeunload is supported by Internet Explorer 6, Netscape 7.2 (not 7.1), and Firefox 1.0. The onbeforeunload event may not be the best solution for your particular needs. Another solution is to place the busybox.Show() method in the onclick event of the html elements (button, link etc.) that need to cause the busy box to appear. If the particular html tag does not have an onclick event, you can wrap your control in a span tag and use the onclick event of the span tag. I use this all the time. This allows you to specifically control which buttons and/or links cause the busy box to appear. I have created an ASP.NET web control to allow for easy use in ASP.NET pages. You can find the control in my BusyBox Web Control article – to be posted shortly with a link insterted here.